For over 40 years, Confederation Freezers has provided fast and convenient cross docking services at all of our facilities across Canada. Cross docking is the process of receiving products and not putting it into storage. Products are unloaded from one truck on the inbound side, consolidated in the middle of the warehouse, and immediately loaded onto a truck on the outbound side of the warehouse. 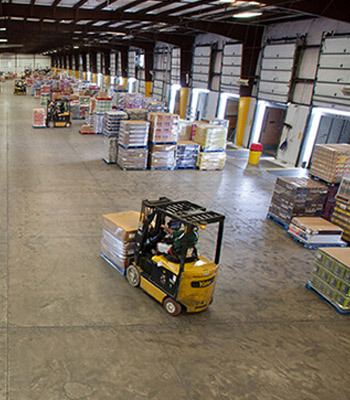 Most cross docking can be completed in just a few hours, maximizing your speed to market. Cross docking significantly reduces product handling, inventory carrying, labour and storage costs. We offer Cross Docking services in all of our facilities as well as dedicated cross docking locations. Let Confederation Freezers be your logistics partner.